If you think you may have mold already, it's best to get a home mold test performed to make sure. At the least, you will have peace of mind knowing you don't. If you do have mold growth that needs to be taken care of, you'll know where it is and what to do about it. Otherwise, there are things you can do to avoid the growth of mold and mildew that could affect your health. Prevention is always better than waiting for a problem to happen. Not all mold is bad mold. In fact, we commonly use various species of mold for medicines and to make certain foods. Cheese, penicillin, and fermented vegetables and other molds have been used in food production for what seems like forever. Harmful household mold, on the other hand, can produce health problems that could be fatal in some persons. 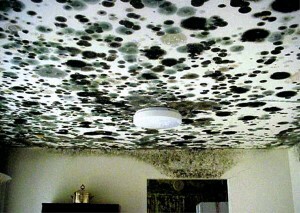 Black mold, or the Stachybotrys mold species, are such an example. As a homeowner, you want to protect your home and family from all kinds of harmful molds and bacteria. Here are some tips on preventing house mold from our Charleston Mold Testing experts at GLS Engineering. Indoor humidity control is highly important for preventing mold growth. Mold will thrive indoors if there is enough humidity in the air. Lower humidity discourages mold growth as well as insects such as cockroaches and dust mites. The United States Environmental Protection Agency recommends an indoor relative humidity level below 60%, but 30% -50% is ideal. The best dehumidifiers will be able to sense the moisture level and work automatically to adjust. The whole home dehumidifiers are best because they take care of the entire house all at once. Balanced indoor humidity levels are key to prevent mold growth and the health problems caused by too little moisture. These systems can be installed by Charleston mold testing professionals like ours at GLS Engineering. There are certain ventilation systems designed for homes which should be in place to help with indoor humidity. For instance, the HVAC system is a prime area which is susceptible to mold growth. This is because of the condensation created during operation. The attic space should also be ventilated to prevent moisture which affects the insulation and framing of your house. You should also have a good ventilation system in the bathrooms, kitchen, and laundry rooms. An air filtration system can treat the indoor air to remove mold spores. Mold spores are present everywhere, they just need a place to incubate so they can produce more spores. This reproduction cycle is what creates a problem in your house. Filtering the air with filters which can trap small microorganisms like mold spores is important to prevent the cycle. It's a good idea to keep the exterior of the house clean. Whether you are cleaning the windows or the siding and roof, it will help to prevent mold growth. Tree debris that sits on the roof, in the gutters, or near the walls of the house can cause mold growth, so also make sure to take care of these areas. When there is rotting wood from rainwater on the exterior of the house, there is obviously some type of repair needed. You may need the roof repaired or could need to replace some siding. Make sure the paint on the exterior doesn't get worn so thin that it is no longer waterproofing the home. Take care of caulking and weatherproofing. Mold thrives on wet wood, insulation, and other building materials. Plumbing leaks are a prime cause of mold growth. It's very common for a tiny leak to go on for some time before it makes a stain on the ceiling or wets the walls and slab of the house. Plumbing leaks should always be repaired as soon as possible. Watch for signs such as a hike in the water bill, too much moisture in the air, and beads of moisture on the walls or on the foundation. If you have questions about mold or are interested in Charleston, SC area indoor air quality tests, please call 843-881-4803 or complete our online request form.